Our current contract expires on Jan. 1, 2020, and our negotiation process begins with member input at Town Halls across the state in March and April. This is your opportunity to meet with your bargaining team and share your priorities for our new contract. Learn how you can take action and be a part of the bargaining process. Find a Town Hall near you, RSVP and let your voice be heard! Join Local 1000 and become a member today! 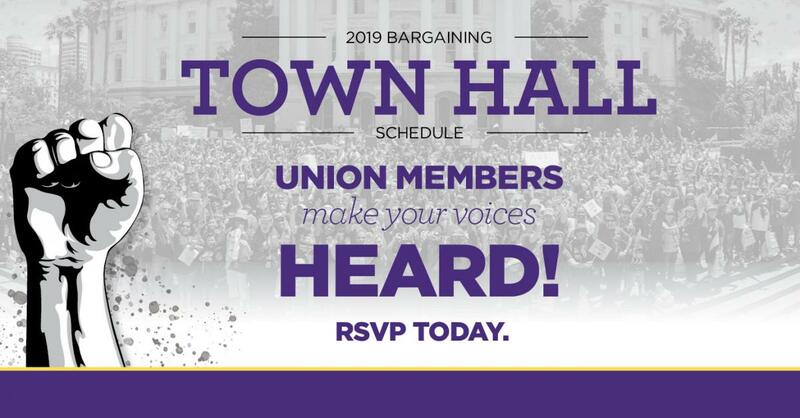 *These are SEIU 1000 member-only events; bring a valid picture ID. Only validated members will be allowed entrance into Town Halls. No guests will be admitted to the Town Halls and child care will not be provided. Continental Breakfast: 9:30 a.m.-10:45 a.m.
3300 W. Mineral King Ave.